It's not always easy to find something special for the men and boys in our lives. But who doesn't love a good soft delicious cookie? I hope you will find some fun and special gifts for the men in your life. Super cute party idea for your little pirate. 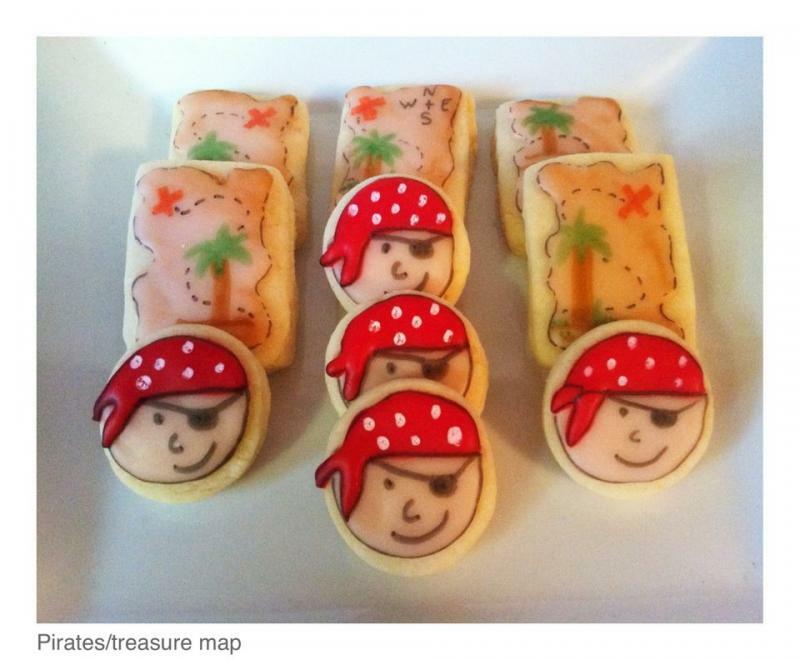 Treasure map and pirate cookie collection. Tell us your favorite team colors, number and/or name and we'll do the rest. 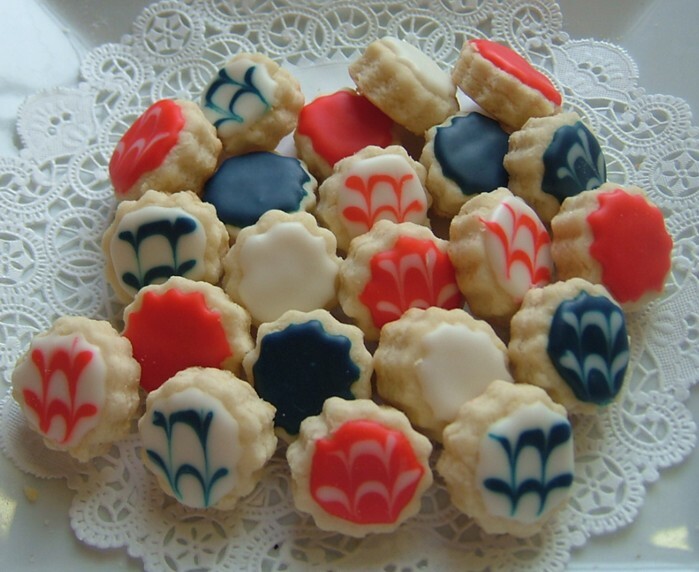 Celebrate your party with this festive cookie collection. What little boy doesn't love Monster Trucks. Or big boys for that matter! 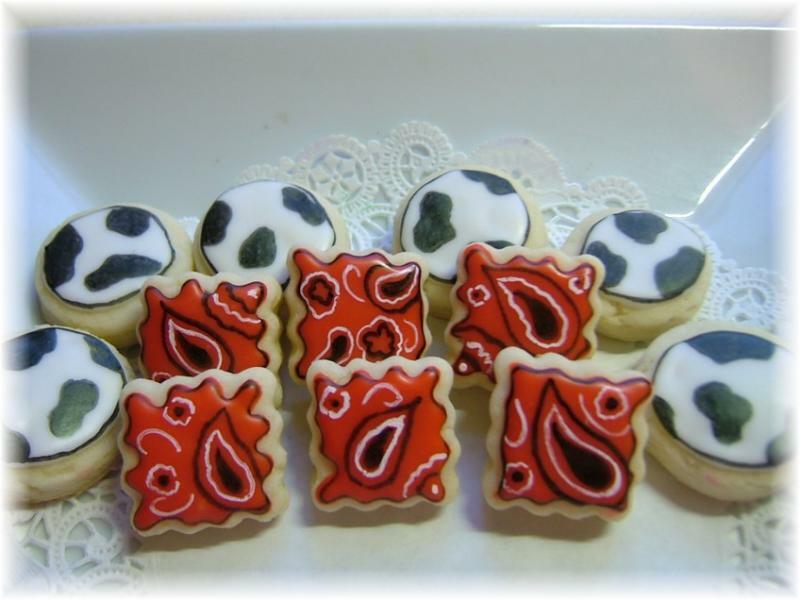 3 dzn soft delicious cookies-round can be personalized with name or number. 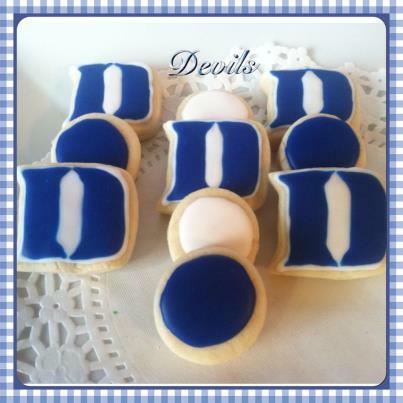 Being from NC, we had to make some Duke cookies. The "D" cookie is approx. 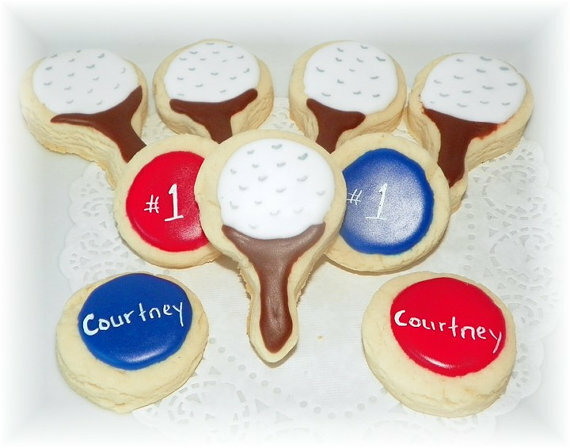 2 inch in size, circles are 1-1.5" and can be personalized with initial or number upon request. 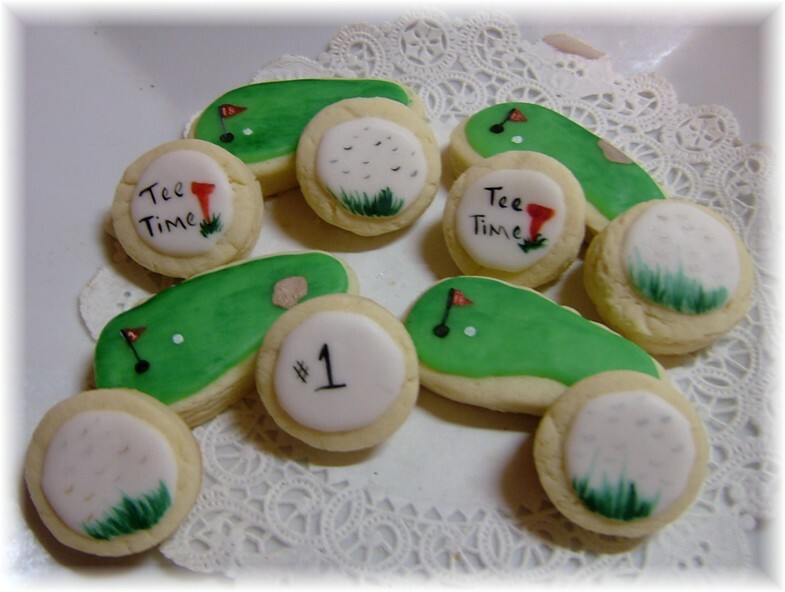 A super gift idea for an avid golfer. 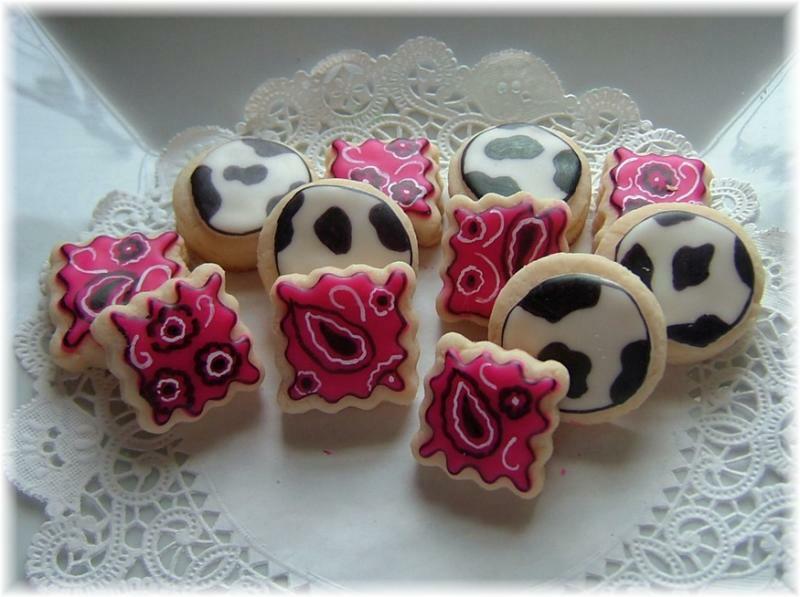 Each cookie is hand painted with food coloring once icing has dried. This collection is a variety of 12 cookies. A great basic coloring to match a masculine party. Variety of 3 dozen of designs shown in photograph. 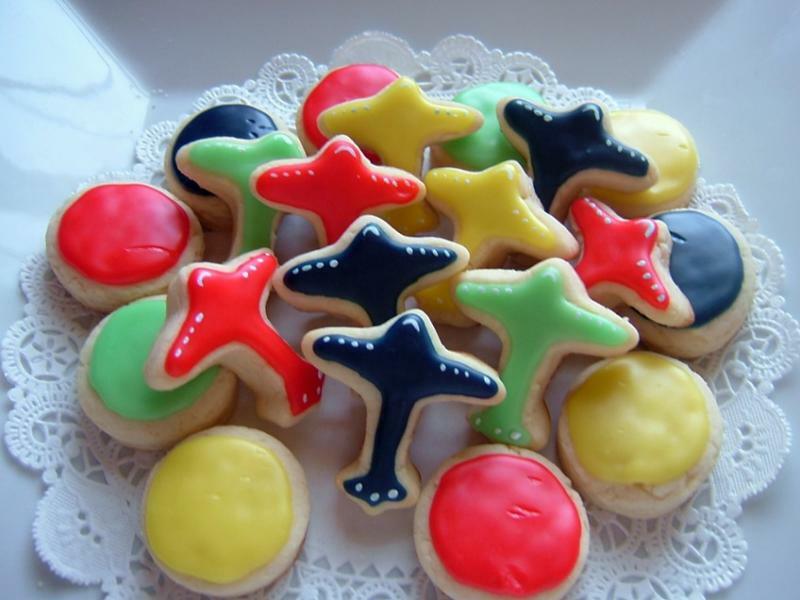 Fun collection of brightly colored petite airplanes and dots. Set includes 3 dozen variety of cookies in photograph. A fun collection for dad or son. This collection inclues 3 dozen variety of the cookies show. These are a bit bigger cookie than the petite cookies 2". Hot pink for girls, really red for boys. A fun collection for any party. Please let me know when ordering your color choice. 3 dozen. Got an avid baseball fan in your family? or celebrating with a baseball party? 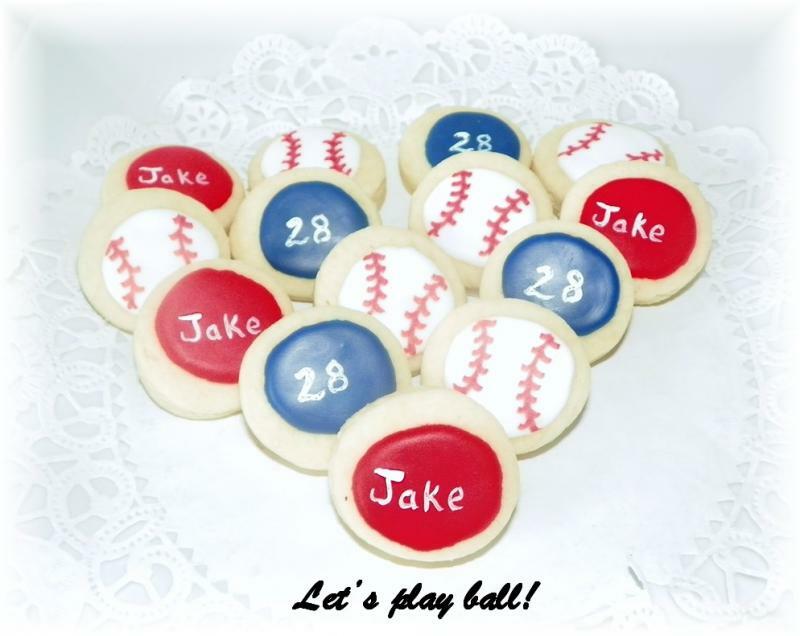 These cute little baseball cookies are great. 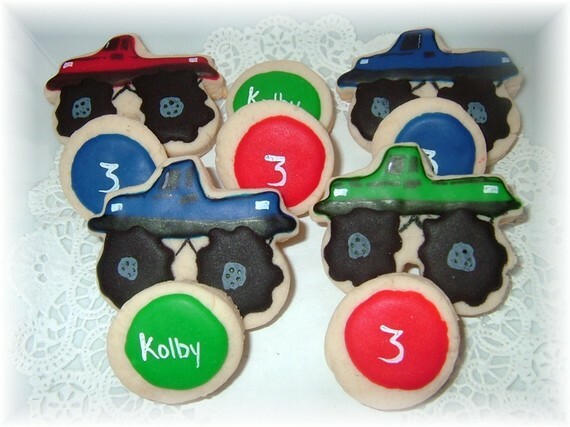 Solid cookies can be any color you want an personalized with a initial,number, or short name. 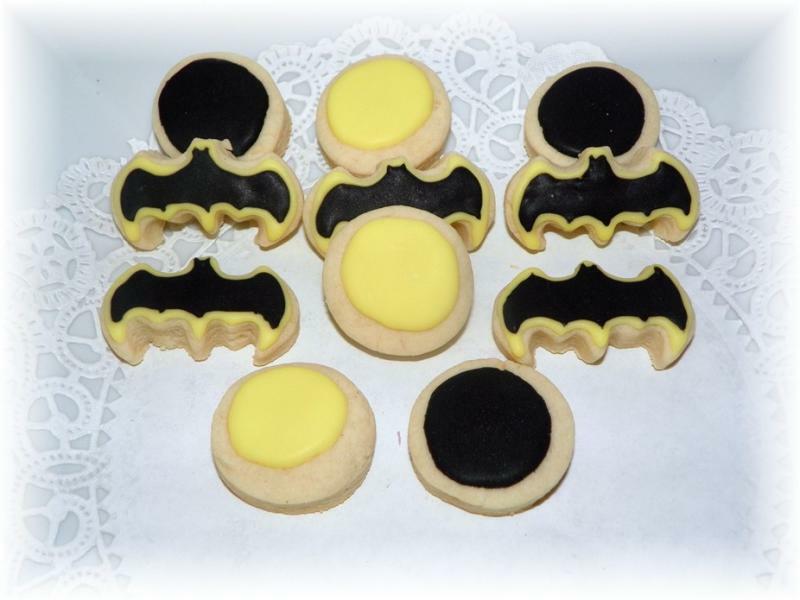 Great for any Batman lover-young or old. 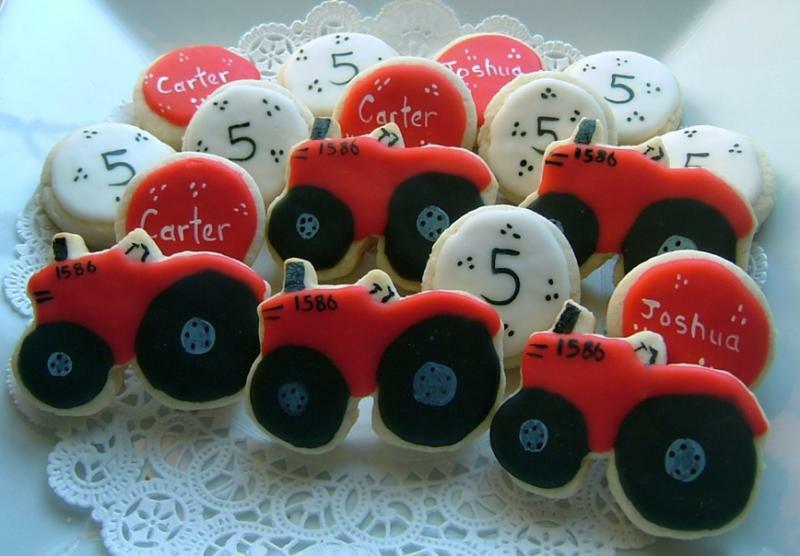 Round/dot cookies can be personalized with an initial or number upon request. Camo Cupcake cookies for your avid hunter in the family!! 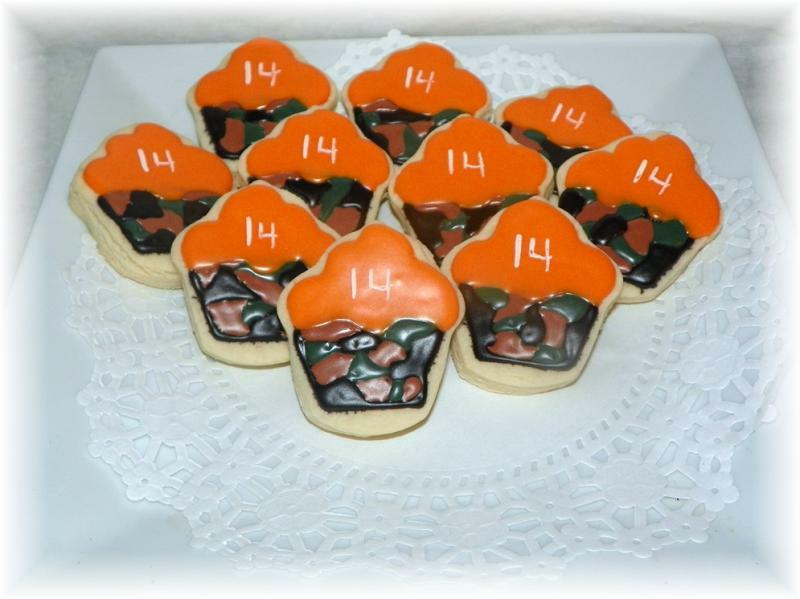 2.5" cupcake cookies are individually wrapped and tied with matching ribbon. Can be personalized with initial or number if you wish. 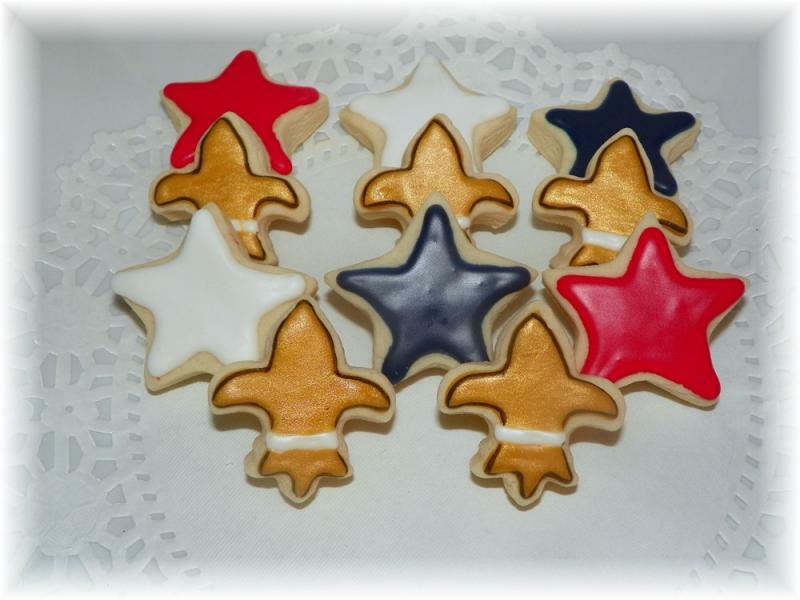 The symbol of the boy scouts, along with some patriotic star cookies. A great addition to any party. Cookies are approximately 1.5" in size. Got a farmer in your life-these are perfect. 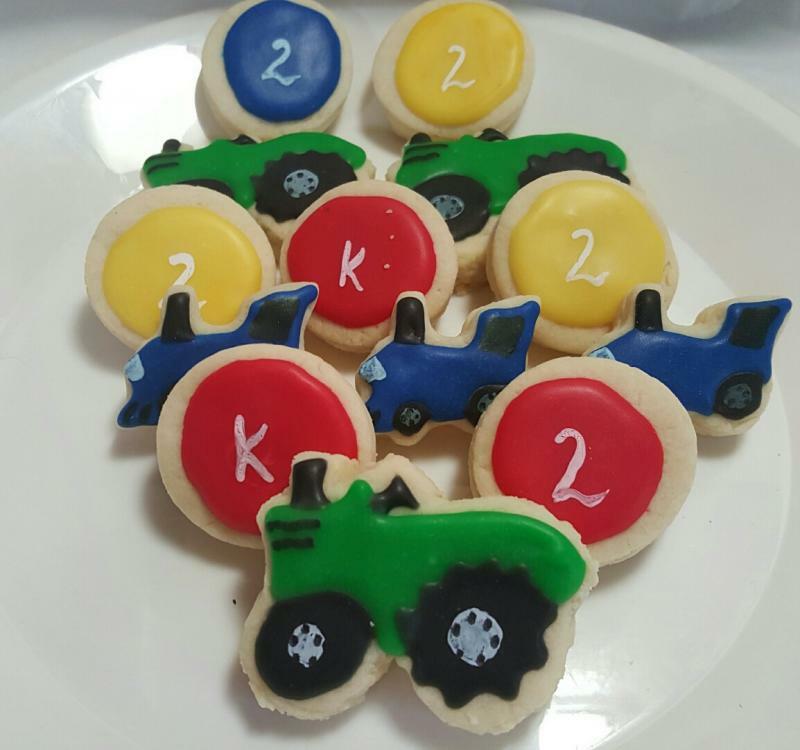 International Harvester cookies make a great addition to your farm party. 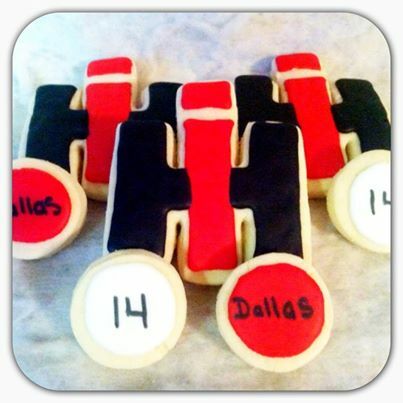 The IH cookie is a big 5 inches, smaller matching round ones included as well-that can be personalized. Collection includes 3 dzn-1 dzn IH cookies and 24 smaller round cookies. 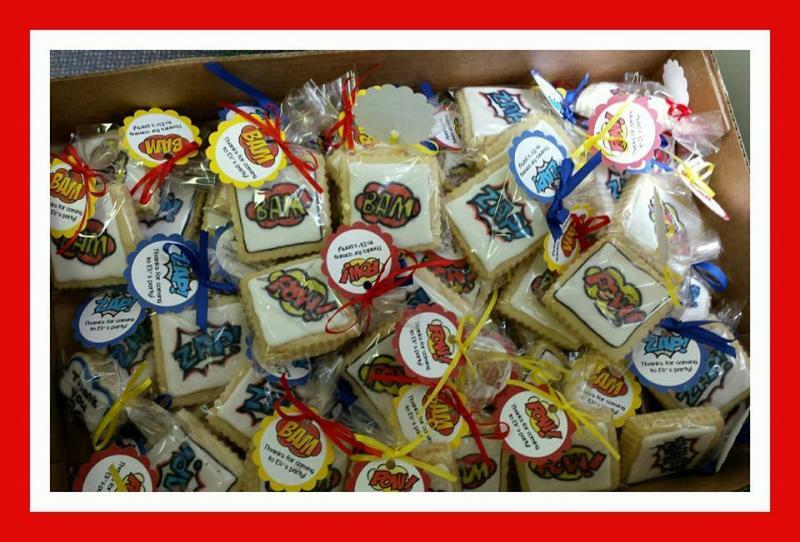 For that special little boy's next party-these fun Super Hero Cookies are a sure thing. 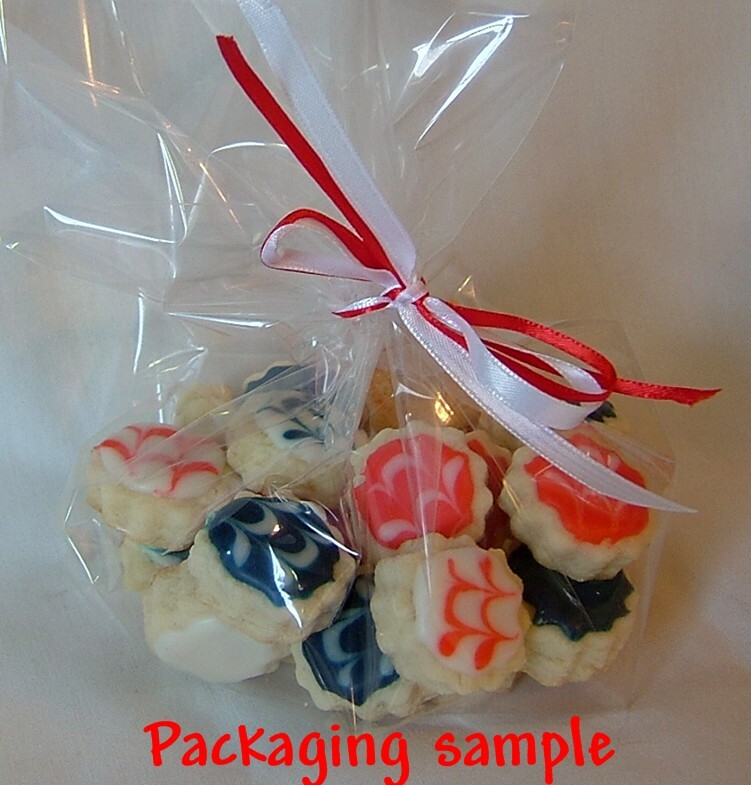 Each individually wrapped and custom tag included. 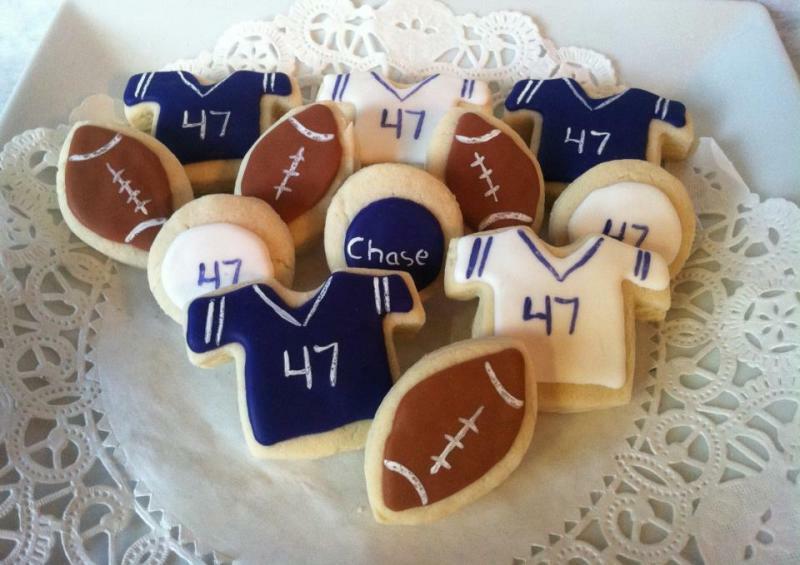 Each cookie is hand drawn. Trains and tractors cookies 3 dzn. Hunting Life Cookie Collection (medium size) 2 dzn. 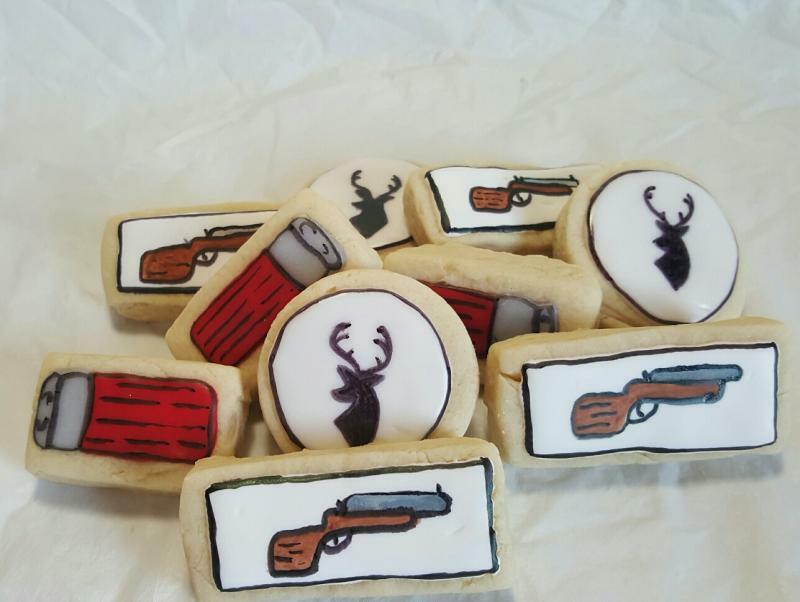 These cookies are just the best thing for those hunting friends in your life.